The range of Master Magnets’ Electro Overband Magnets is extensive. Selecting the optimum design of Electro Overband Magnet to perform a specific separation task is critical. 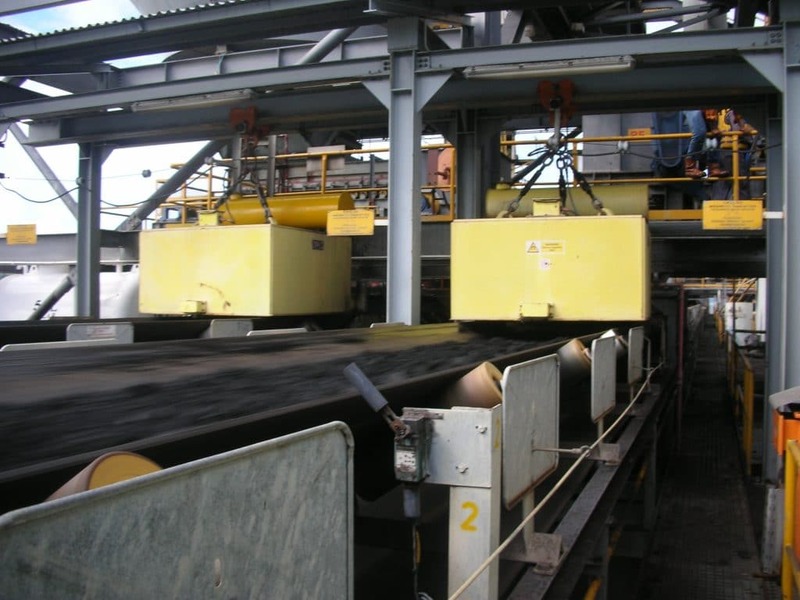 Poor magnet selection could result in damage to processing equipment or a reduction in product quality. To aid the correct selection, Master Magnets applications engineers have developed a bespoke ‘Electro Overband Magnet Selection Programme’. In operation, an Electro Overband Magnet projects a magnetic field down and through a conveyed product (e.g. aggregate, coal, ore or recycled materials). This magnetic field is generated by an electromagnetic coil, steel core and steel back bar. Tramp ferrous metal present in the conveyed material is attracted by the magnetic field. The ferrous metal moves up off or through the conveyed material until it reaches the bottom most surface of the magnet. If the Electro Overband Magnet is a manual clean design, the tramp ferrous metal is held on the surface. 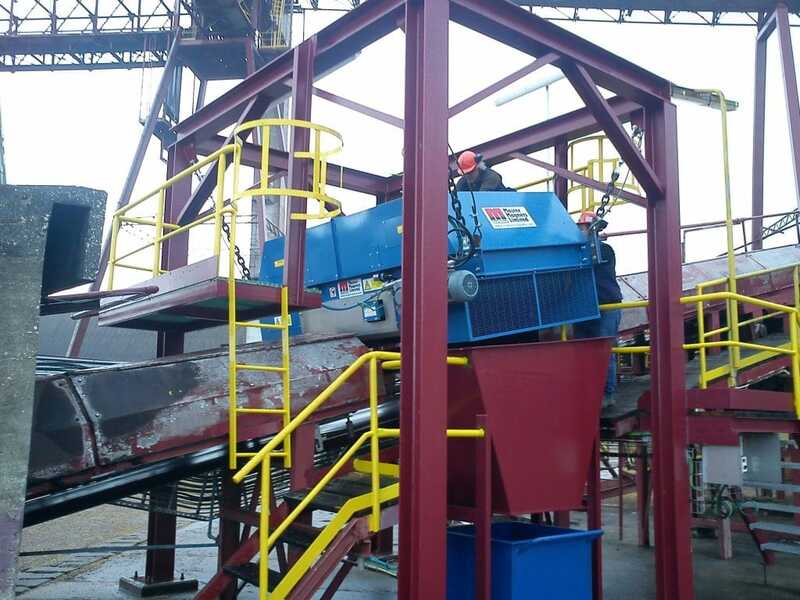 For self cleaning designs, the tramp ferrous metal is attracted up to the surface of a moving belt and then discharged away from the conveyor. The inputted data will recommend specific sizes of Electro Overband Magnet. The applications engineer will then review the whole application and determine the best Electro Overband Magnet for the project. 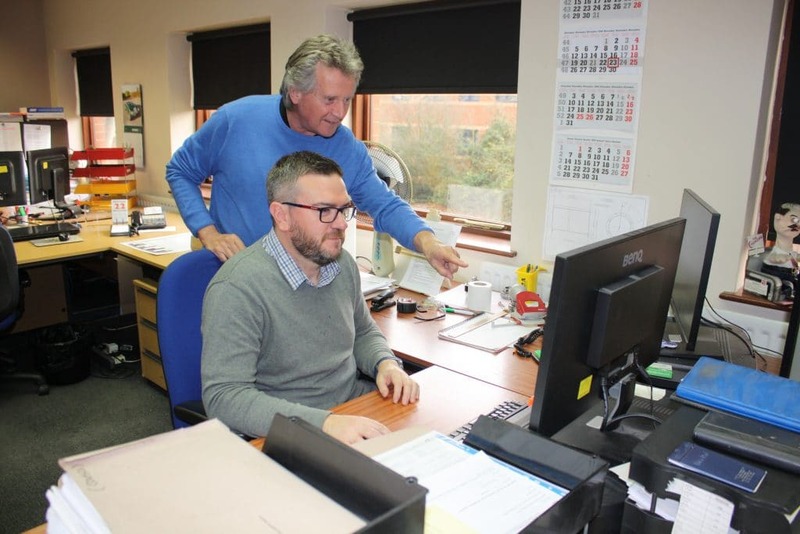 This bespoke programme has been used by the Master Magnets team to select hundreds of Electro Overband Magnets. The combination of the programme, using known mathematical data, and the experience of the engineering team ensures that the best Electro Overband Magnet is selected for every project.